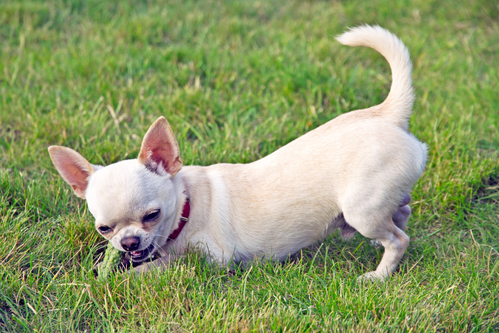 When I began making raw dog food for our four dogs at home, I had limited protein options. The grocery store carried chicken, turkey, beef, and pork. The only organ meat available was liver (hearts and gizzards are fed as meat, not organs). And when you add up what it takes to make raw for four dogs, it was expensive. Fortunately, I met a local raw feeder for coffee, and she clued me in on sourcing, co-ops, and why dogs didn’t need vegetables. We agreed to disagree on the last point. Today, I have an extensive list of places where I can get quality proteins, organ meat, offal (secreting organs like liver, pancreas, spleen), and more. I live in the Pacific Northwest and belong to a local raw food co-op named Wazzuor. 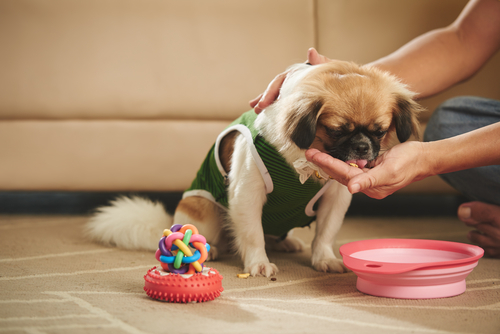 I order 99% of my pet supplies (food, treats, chews, supplements, toys, etc.) through our co-op and my membership has shaved my monthly budget by 50%. Not all co-ops are created equal. Before joining a raw food co-op, ask a few questions to make sure that you’re comfortable with their fees, ordering process, and sourcing. 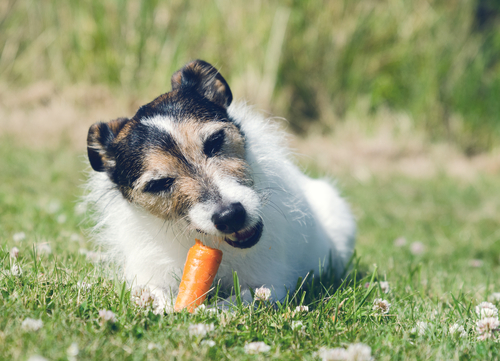 Butchers are beginning to pick up on the popularity of raw feeding for pets, and they’re creating a line of raw dog food. Check with your butcher to see if they make raw dog food or if they will sell you scraps, bones, and organ/offal instead of throwing it away. Go to where the restaurants get their meat. Through our co-op, I’m able to order from a local meat processor at wholesale prices. Their prices list is over 25 pages long, and I order most of the meat I order from them, including duck wings, duck necks, duck hearts, duck gizzards, pork kidneys, and more. 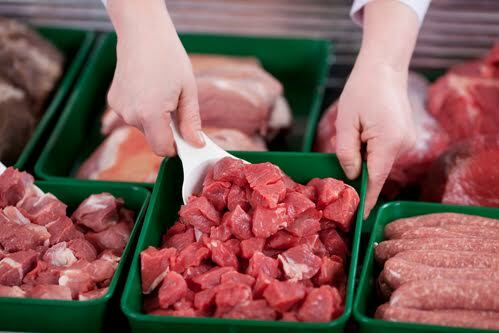 When ordering from a meat processor, you will be ordering in bulk so be prepared with a dedicated freezer. Yep, you read that right. I know plenty of people who search for ads from folks who are cleaning out their freezer. And my friends also place ads on Craigslist to attract folks who are cleaning out their freezer. I haven’t done this – yet. My friends who do this regularly have made enough connections that folks will contact them directly when they need to unload a freezer full of contents. Last year one of my Facebook friends scored $300 worth of meat along with a freezer. Do you know anyone who hunts? Many times they bring home more than they can fit in the freezer or they may not eat the entire animal. This is a great source of meat for your dogs. Since this is wild game, I recommend freezing the meat for a month to kill any parasites. Better safe than sorry. When I started making raw dog food, I was limited to chicken – the other proteins at the grocery store were too expensive for my budget. It didn’t take long for me to learn that my dogs were allergic to chicken. And all it took was one conversation over coffee with a fellow raw feeder. So first things first, connect with some raw feeders in your area and learn where they get their raw meat. These connections will save you a lot of time and money. Kay, I’m in Macon and having a hard time finding anything local but I’ve seen multiple sources for North GA. I just found Green Valley Pride Co-op, it is highly recommended and they have multiple pick up locations around NGA. I’ve been wanting to go to the huge farmers market in Duluth, they have a huge variety of meats but I don’t know pricing. I’ve been there once but it was before raw feeding and we didn’t look at the meat at all. I’m trying to find a weekend to go check it out! Good luck! Trying to find an affordable raw food co op near Charlotte, North Carolina. Looking for co’ops for organ meat for dos in the Bronx, My area.